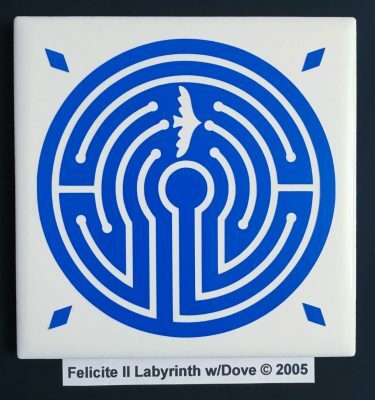 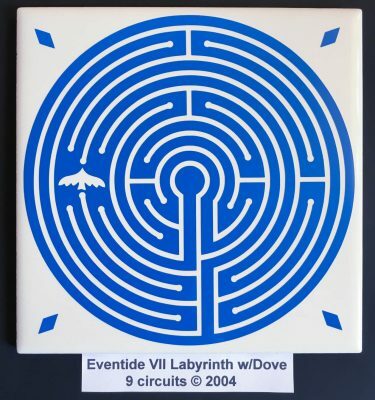 A modern Medieval-style labyrinth with symmetrical horizontal turns. 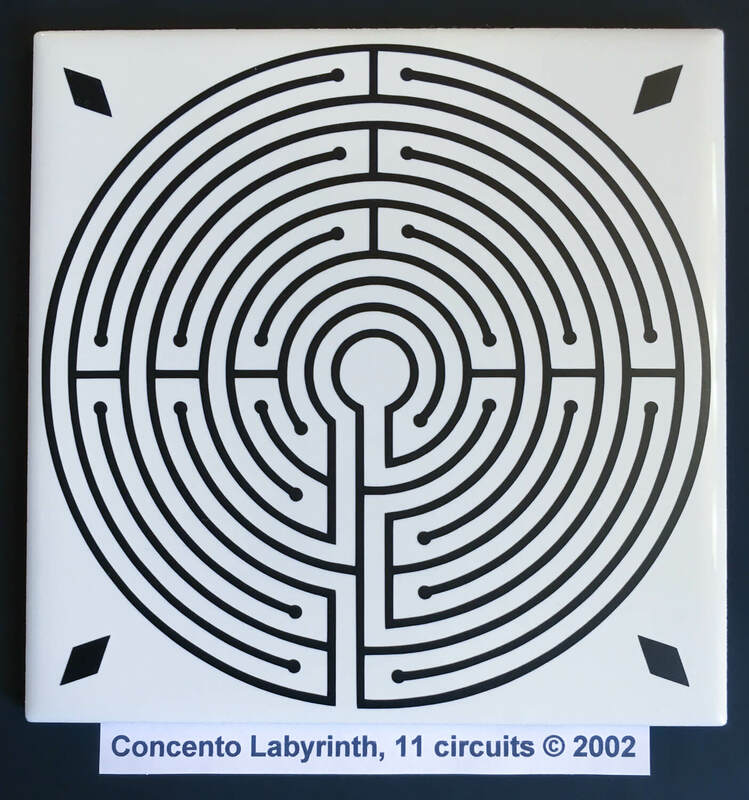 Nearly identical in appearance to the 10-circuit Harmony Labyrinth, the difference in the position of the upper vertical turns results in some distinct changes in the path. 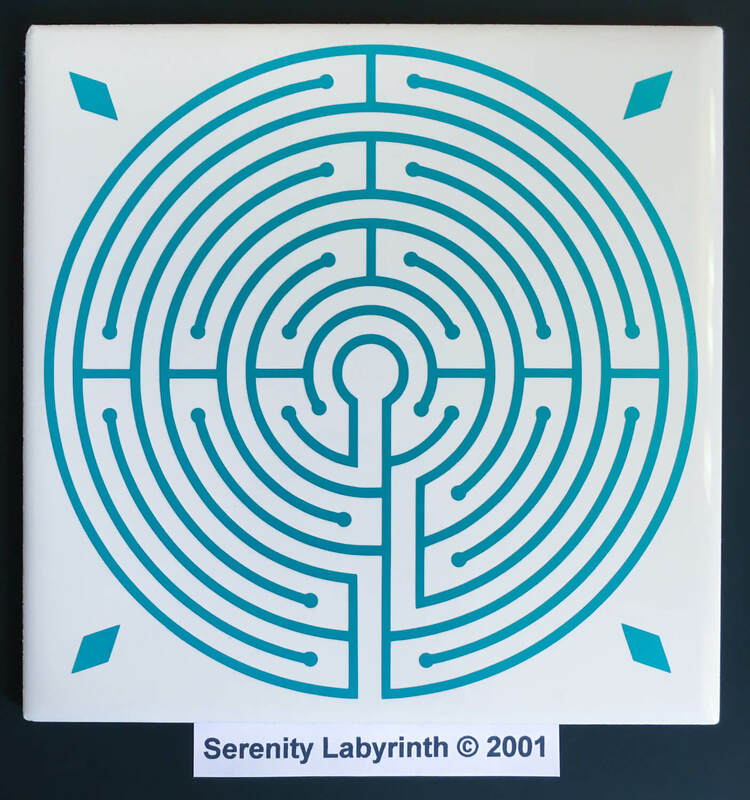 Cut in permanent/outdoor turquoise vinyl, this finger labyrinth can be cleaned as needed by wiping with a soft damp cloth. 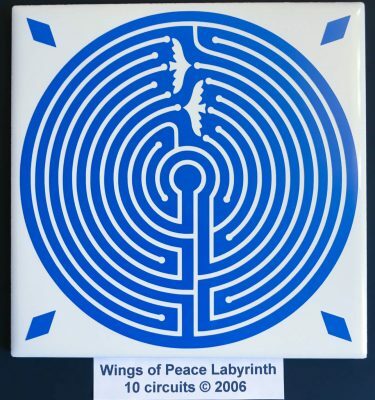 It can also be sanitized with alcohol.